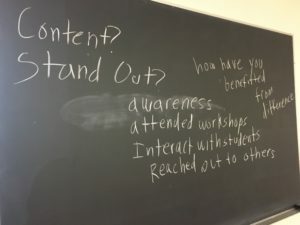 As this academic year’s assistant director for the UW-Madison Writing Center, I teach a few sections out of more than 70 sections of free non-credit workshops in academic writing for undergraduate and graduate students. The Writing Center has offered these workshops since its inception in 1969, and I’m proud to have contributed to this stellar history by creating a new workshop this year simply called “Writing Diversity Statements for the Academic Job Market.” More and more universities are asking for diversity statements to hire academic staff who are willing to contribute to universities’ commitment to equality, equity, and inclusiveness. Many UW-Madison graduate students themselves have encountered prompts asking for such statements. This Fall the Writing Center hosted two sections on writing diversity statements; graduate students and I discussed how to thoughtfully express our experiences with and future contributions to diversity through our teaching, research, and service. The process of putting together this workshop has come with its victories and challenges as well as my deepest appreciation for the hospitality and knowledge of graduate students, faculty and staff right here at UW-Madison. In this blog post, I share the story of my chasing after the elusive diversity statement workshop from June to August 2017. A Glimpse of the Diversity Statement . . . I first learned about diversity statements during my second year of tutoring in the Writing Center. 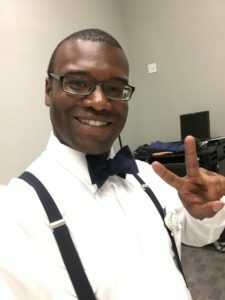 A masters student in mathematics visited me at Memorial Library in Fall 2016 and asked if I could help him answer a short prompt about how he would contribute to diversity on a college campus as a PhD student. I recall the student’s uncertainty about what to say, and fielded questions that would later return in both my planning the diversity statement workshop and facilitating the workshop: “Is this how I write a diversity statement? I don’t think I’ve encountered a lot of diversity in my research–I’m in the mathematics department. What do I say then?” After the session, I thought little about the prompt and forgot about the diversity statement until at this past summer’s Computers and Writing, an academic conference for scholars and graduate students studying writing and digital technology. The conference’s Graduate Research Network hosted a speed-dating-style job market session for invited graduate students. I found myself jumping from one table to another that covered many topics about the academic job market, from doing interviews to writing teaching statements. At one table, professors discussed the typical materials you submit for academic job positions, and one of them said in passing, “Yeah. So diversity statements, too. That’s a new thing. And more universities are asking for these.” The professor had not said anything further, and neither I nor the other graduate students asked follow up questions. 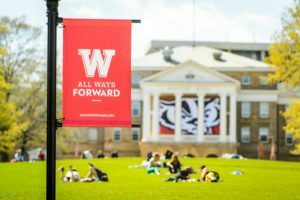 But that brief mention that diversity statements were “a thing” for the academic job market led me to suggest to Brad Hughes, the Director of the UW-Madison Writing Center, that we offer a workshop for graduate and post-doctoral students for this coming Fall. To start putting together the diversity statement workshop, I used the format of one our other existing workshops: the Academic Cover Letter. This workshop introduces graduate students to the generic features of the cover letter and offers tips on how to craft a successful draft. We provide samples from UW-Madison graduate students who received academic positions, a favorite feature of our workshops. I knew that my own workshop would also introduce students to diversity statements, so the form of the Academic Cover Letter–PowerPoint slides and all–was a useful foundation for me. Having found the best structure of the workshop, I moved on to my first great challenge: the content of the workshop. While I myself had some ideas on the purpose of diversity statements, I didn’t know what what other faculty and staff were saying about diversity statements. While I could find useful resources and articles about diversity statements online, I mostly relied on the local knowledge of the UW-Madison Writing Center and the university at large. I turned to two of our experienced Writing Center instructors whom I knew incorporated social justice, equity, and inclusion in their teaching and research. Virginia Schwarz does work on anti-racist pedagogy in writing program administration while Julia Garrett researches English language acquisition experiences among first generation immigrant and refugee women. Conversations with Virginia pointed me to wonderful literature on how I might lead discussions on race with graduate students, such as Readings for Diversity and Social Justice and Derald Wing Sue’s “Helping People Talk about Race: Facilitation Skills for Educators and Trainers” from his book Race Talk and the Conspiracy of Silence: Understanding and Facilitating Difficult Dialogue on Race. Meanwhile, Julia led me to a treasure trove of online discussions on diversity on the Chronicle of Higher Education forums and shared with me useful advice about diversity statements based on twenty years of experience leading diversity workshops at other universities. These discussions were further supplemented by meeting with Brad on a weekly basis to brainstorm activities and ways to respond to difficult questions graduate students may ask. But while the content for the workshop came together, much of my physical and mental labor went into finding sample diversity statements. I first asked experienced Writing Center instructors in an e-mail if they had helped students with diversity statements in their tutoring this last academic year; I asked members of our coordinators, graduate students who had administrator roles in the Writing Center, to reach out to graduate students they knew who would or have already gone on the academic job market and ask if they had samples. Alas, in both attempts, no samples dropped into my Inbox. As the summer went on with no more samples in sight, I had begun to think that I would have to pull drafts from the Internet. My next best, and final resource, were graduate coordinators of PhD programs across campus. Because I was searching for samples a couple weeks before the start of the semester in September, I knew my e-mails could be buried in the midst of other important e-mails sent to them. So I walked across campus and visited one coordinator after another. I kindly introduced myself and then briefly explained what my workshop was about and that we really emphasize local samples. I am so happy that graduate coordinators in food science, geography, computer sciences, engineering, and psychology were kind and thoughtful in reaching out to their recent PhD graduates on various listservs. Their e-mails led to more kind e-mails from those recent graduates, and without hesitation many offered their samples for the workshop. With a stack of samples in hand, I was ready to teach! In the diversity statement workshop, students brainstorm ways they can discuss their commitment to diversity when they don’t have experience with different cultures and ideologies. The workshop draws on the collective knowledge of the attending graduate students. While I do some “sage on the stage” instruction, I also pose discussion questions about how they define diversity, what they believe the purpose of the diversity statement for search committees is, and what they could right if they have not encountered different ideologies and cultures. We later look closely at how job ads ask for diversity statements. Prompts often emphasize one or all three of the following: interpretation of diversity, kind of training that prepares the job candidate for working with different cultures and ideologies, and willingness to contribute to a university’s diversity and inclusion mission. The samples from recently graduated UW-Madison students pull out more layers of insight from the students about what they find persuasive or not persuasive. I document their insights on what worked well in the samples that we can emulate on the chalkboard. I like to make sure students walk away from a workshop with something tangible that helps them write their drafts. So for the last thirty minutes of the workshop, we breakout into smaller groups to either brainstorm ideas for a first draft or peer review existing drafts, if students brought them to the workshop. I rely on students’ collective knowledge because I want the workshop to be engaging and active, but I also want to demonstrate to graduate students that they know more than they think and are already highly thoughtful and sensitive about diversity. In their evaluations of the workshop, students have found this philosophy useful for their own learning. For example, answering what two things they found useful, one student wrote, “Looking through and critiquing writing samples” and “Clear cut indication of what is required in a statement.” At the beginning of the workshop, most students aren’t sure how to tackle this new genre, but by the end students leave the workshop with a better sense of what diversity statements are and how they can write about their relationship with missions for equity, equality, and inclusiveness. What are some ways you have planned a workshop? What advice would give to someone who must create a workshop from “the ground up”? Does your Writing Center have a workshop for diversity statements? How do you create this workshop and how have students engaged with discussions on diversity and inclusion? 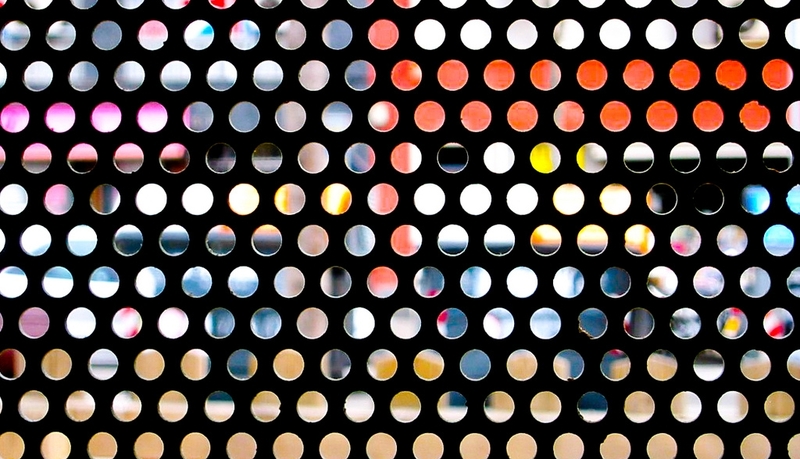 “Diversity” by Manel Torralba via Flickr. Antonio, thank you so much for your amazing work on this topic. I found your presentation on diversity statements extremely informative and thought-provoking. I plan to keep thinking about the rhetorical work diversity statements solicit and the ethical and political questions they raise for writers and for tutors. To be honest, though, I have to admit I also maintain a strong sense of skepticism regarding their institutional function: Will they foster authentic engagement with the concept of diversity, with diverse communities, with social justice? Or will they be used to bypass the need to hire a greater number of faculty members who represent diverse identities? In what ways do they commodify diversity or require people of diverse identities to perform stereotypes? These are just some of my many questions. As tutors, these concerns present us with a very complex territory to navigate in our work with writers. I hope that the more ideas, experiences, writing samples, etc. we can gather, the better prepared we will be. Antonio’s thoughts gives me a lot of space to consider how we approach, teach, and understand new emergent genres. More specifically, genres that tackle the very timely concept of “diversity,” to reference our political climate. This brings up all these notions of audience, personal values vs. values of audience, and how one even defines diversity (and who gets to define it). I don’t have answers, but maybe you all can help me? I ask myself, “How do we teach something that’s still in formation?” More specifically, what are the risks of using “samples” as “examples,” i.e. setting an ideal. This all to say, teaching diversity is work, fickle and dicey. I think when it comes to teaching diversity statements, and other emergent genres, it must be a community project. Diversity work, for me, is social justice. Social justice is all about breaking down hierarchies, which instruction can often fall into this power model. Therefore, teaching, defining, and exploring this emergent genre of diversity statements must not re-structure hierarchal logic. It’s all of our work to “chase” after this new genre. Moreover, Antonio’s work here has inspired me to evaluate my own approaches and examples of access statements I have included on my syllabi. Perhaps this will be a future writing center blog post…..